You might have had to face issues calling the Uber driver after booking the ride or even holler at the driver by running down the street, right? Not anymore. Following Uber’s recent app update, you can now message your driver within the Uber app so that you can tell your driver exactly where you are and what not. Not everyone’s a comfortable caller, therefore update comes as a good news for many of us. 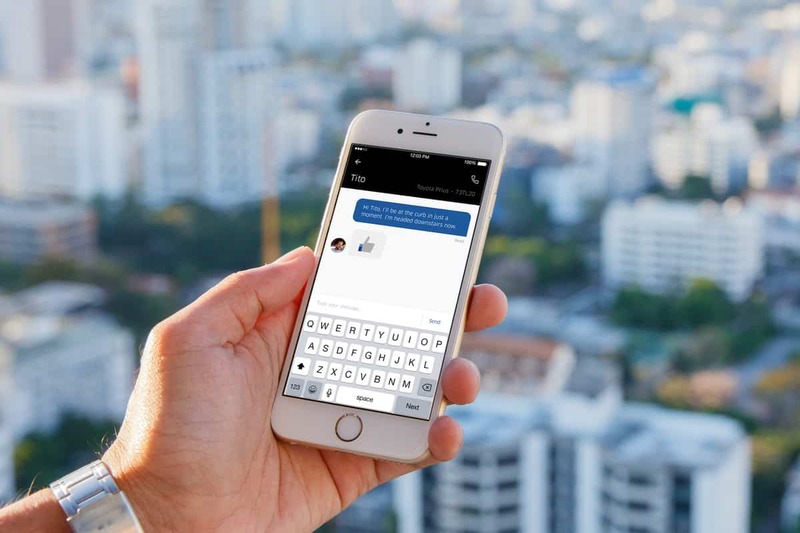 The calling capabilities offered by Uber app doesn’t exactly meant the best user experience, so now you can take advantage of messaging to. “both riders and drivers will see whether their messages have been delivered and read, and all communication will be done in a driver-friendly way”. The new feature brings with it a few advantages like direct messaging without checking your SMS or Call plans. It becomes a lot easy for your driver to pick you up from a more precise location and on top of that, it eliminates the awkward phone calls. The update will be available to all Uber users starting today. Once you’ve booked your ride, you will see a ‘Contact’ button at the bottom, tapping which will pop up a new tab where you can send text messages to the driver. The call functionality is still there where it used to be, at the top. “When drivers receive a chat from the rider, it will be read aloud to them. Drivers can acknowledge receipt with one tap to their app to send a “thumbs up” to their rider. That way, they can stay focused on the road”, said Uber. Note: If the update isn’t available to you, don’t worry, it will be rolled out very soon. Yup iski waja hai .. streets and houses are not properly marked.. Its just nightmare everywhere.. koi sequence hai hi nai ..Mostly. I Hate Tooo Three Four Five Up to Last Word of Number in the world. Will it not increase risk of accidents, messaging while driving…. !